AniMalcolm By David Baddiel- My half term read! 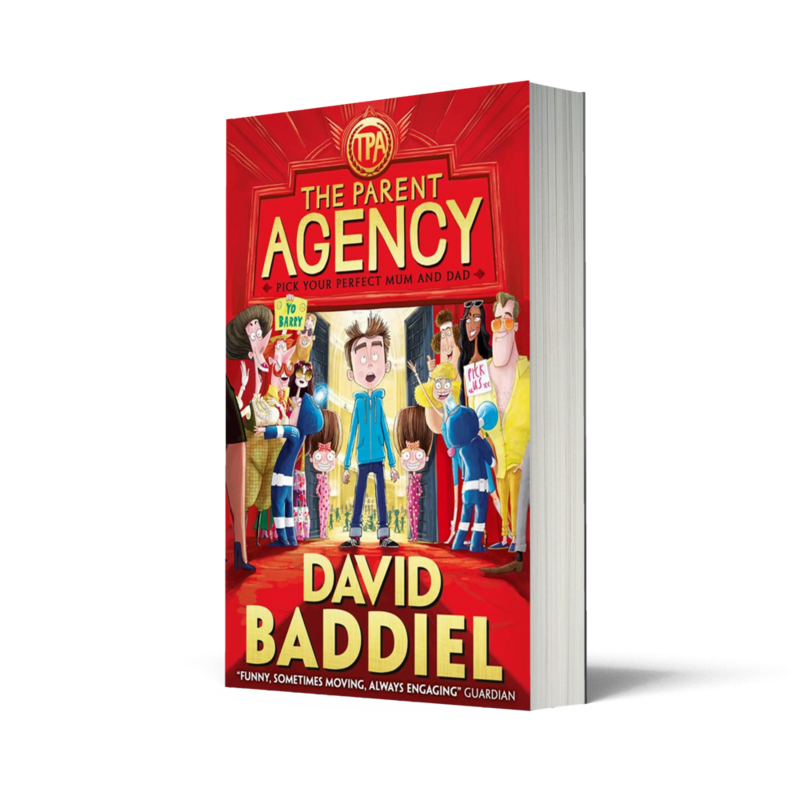 I was lucky enough to review a The Parent Agency by David Baddiel last year and loved it so was thrilled to be asked to review his new book AniMalcom. The problem with really enjoying a book is that you never know if the author will be able to pull it off again, so whilst I was looking forward to reading AniMalcolm I was a bit unsure as to whether it would live up to my expectations. I needn’t have worried! 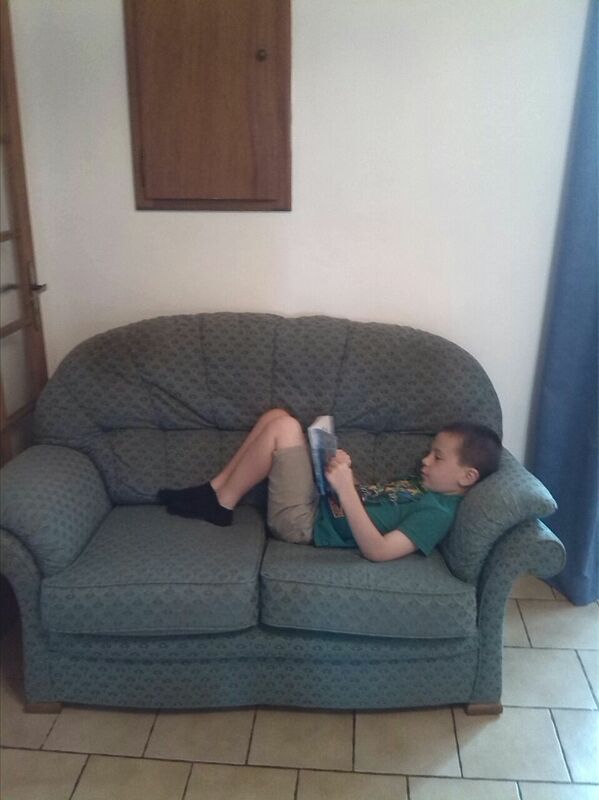 Animalcolm is about a boy called Malcolm whose parents LOVE animals. Malcolm is not so keen. His birthday is coming up and he really wants a laptop, he gets… a new pet! He is amazed that he is also allowed to go on the school trip- however he soon finds out they are heading for a farm- not exactly ideal for someone who doesn’t like animals! When Malcolm arrives at Orwell Farm he meets a goat, called K-Pax, who the farm owners claim is very wise, although Malcolm doubts that! He changes his mind though when the magical goat hypnotises him! Suddenly Malcolm is changing and AniMalcolm appears- will he ever be himself again?! It’s quite hard being an animal when you are not used to it and AniMalcolm has some difficult times – being stuck on his back as a tortoise (it takes a very long time for another tortoise to help you from that position!) discovering that humans can no longer understand him and coming up against a cat who really doesn’t want to share her spot with another cat. I was so pleased with this book- David Baddiel is just as funny as ever and really ‘gets’ children’s humour. I read this book in two sittings – I barely put it down and I literally laughed out loud so many times! My very favourite characters are The Dolly’s – Dolly 1, Dolly 2 and Dolly 3 but there are so many great characters that you get into the book really quickly. The illustrations were great too and really added to the story. Whether you are an animal lover or not this book is a brilliant read. I would happily give it 10/10. I think it’s perfect for kids age 8 plus to read easily on their own and am definitely going to recommend it to all my friends, but I think younger children would also enjoy sharing it with an adult- my sister is 5 and has just started reading it with my Mum and she loves it. I can’t wait for David Baddiel’s next book! Please note this is a sponsored post and contains an affiliate link but I read the book, loved the book and all views are my own! Poor Barry… Boring parents, annoying goody two-shoes twin sisters, not being allowed to play video games and being called Barry- just a few things from Barry’s list of complaints about his family. Imagine if you could choose your own Mum and Dad though- what type would you choose? Rich, famous, fit, cool or something completely different? When Barry arrives at The Parent Agency he discovers he is able to choose any of the parents on their list and to top it off he can have the birthday party he has always dreamed of. What could possibly go wrong? This book is very funny and has a bit of a twist. I liked the way the children’s world was a copy of ours but different- the Parent Agency is based in Youngdon which has landmarks like the Shard Skelter, Marbles Arch and the Play-houses of Parliment. Some of the characters are really hilarious and lots are very strange. I like the way the story flowed from one set of parents to the next. This was a great book for children age 7-12, I read it in no time at all and didn’t really want to put it down- you will definitely want to know what Barry decides in the end. The chapters were a good length (not too short but not so long that you get bored!) and whilst this is very much a proper book I didn’t find it difficult to read by myself. Although I did also enjoyed listening to a few of the chapters read by my Mum to me- mainly because it was funny to hear her say ‘Bum, bum, bum’ when Barry has found out he can be as rude as he likes with his cool parents! I think David Baddiel has done a great job with The Parent Agency, which is his first children’s book. I can’t wait to see what his next book is like. David Baddiel seems to have lots of other ideas for great parents, watch him here http://youtu.be/sUMyICBQ7uc and let us know what type you would like best? I love the idea of parents who can fly! I am so glad it’s Friday. It has been a really busy week and I am looking forward to a good rest. This weekend I plan to chill out with a good book and have plenty to choose from- I have two Timmy Failure books, The Parent Agency by David Baddiel and also a manuscript from LoveReading4Kids all of which I will be reviewing on here soon- we also have a competition coming up to win both a copy of the new Timmy Failure book and a copy of The Parent Agency so keep an eye out for those. I am also looking forward to our school fair this weekend- they normally have lots of fun games and plenty of sweets to win! We are also hoping to go and pick up our new car this weekend and I can’t wait to be able to get out and about again. Finally I am looking forward to Father’s Day when we will give Dad our home made gifts as well as the shop brought ones and cook him something yummy for breakfast. If anyone has any other good ideas of how they are going to spoil their Dad I would love to hear them. so I won’t be curling up here this weekend!